As Chairman of East Africa’s leading manufacturer of edible oils and personal hygiene care products, Mr. Shah is one of Kenya and East Africa’s eminent and most respected business leaders. He is an alumnus of USIU-Africa graduating in 1980 with a BSc. Business Administration. He is a member of the 3GF (Global Green Growth Fund) Advisory Board and the Tony Elumelu Foundation Advisory Board. Until April 2015, he was the Chairman of the Kenya Private Sector Alliance-the apex private sector body in Kenya, and is a former Chairman of the Kenya Association of Manufacturers and the East African Business Council. Mr. Shah is a recipient of multiple awards and accolades. In 2015 KCA University awarded him an honorary Doctorate for his service to entrepreneurship in Kenya. Vimal was the 2012 recipient of the East African Entrepreneur of the Year award awarded by All Africa Business Leaders Awards (AABLA) in partnership with CNBC Africa and Forbes Africa. In recognition of his contribution to national development, former Kenyan President H.E. Mwai Kibaki awarded him the First Class: Chief of the Order of the Burning Spear (CBS) in December 2011 - the highest national honor for a private citizen in Kenya. 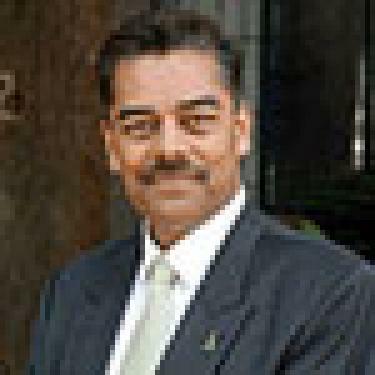 In 2008, the Kenya Institute of Management awarded him the CEO of the Year award with BIDCO winning the Company of the year award. He was ranked as the 3rd East Africa Business Leader of the Future and 5th Most Respected Chief Executive Officer in East Africa in 2002. He was named the Professional Manager of the Year 2001 and winner for Outstanding Executive support for IT in 2001. Under his leadership Bidco has received over 30 corporate awards in 15 years across energy management, business leadership and manufacturing. Mr. Shah is regarded as one of Africa’s most distinguished and visionary business leaders and is a much sought-after speaker and mentor on entrepreneurship, leadership and manufacturing. He is a Fellow of the Kenya Institute of Management, a Fellow of the Marketing Society of Kenya and the Institute of Certified Public Secretaries of Kenya.